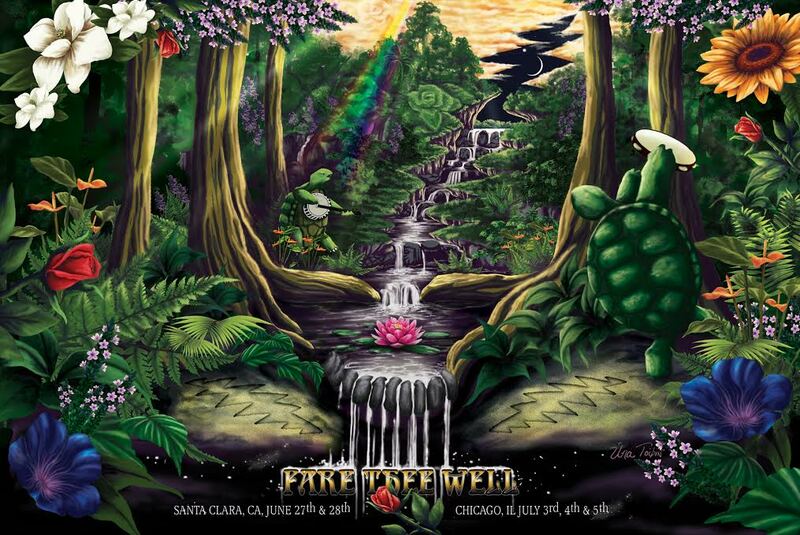 NEW YORK – Fans attending the Grateful Dead 50th Anniversary concerts can take home a set of four limited-edition Fare Thee Well postcards, distributed for free in the “Participation Row” area at Levi’s Stadium (Santa Clara, CA, June 27th & 28th) and Soldier Field (Chicago, July 3rd – 5th). 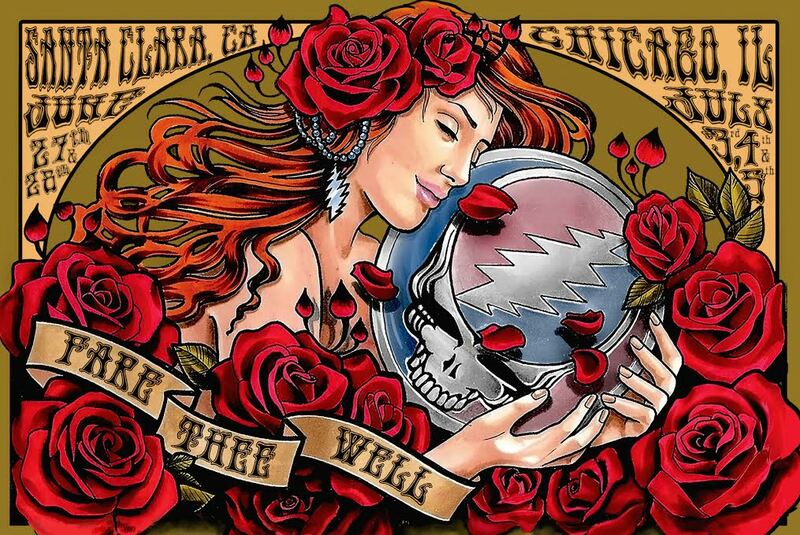 To receive a postcard, fans just need to visit one of 17 non-profit organizations who have info tables on Participation Row, and take a designated “action.” Collectively, the actions are dubbed the “17 Ways Deadheads Can Change the World. ” They include things like writing letters to elected officials, posting photos to social media or signing up to be an organ donor. A full list of the 17 actions, with links to each organization, can be found at www.headcount.org/17Actions. HeadCount, a non-profit organization dedicated to expanding civic participation through the power of music, organized Participation Row and the giveaway. 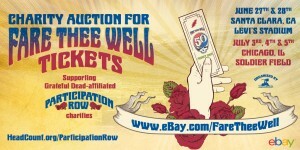 For $1, HeadCount representatives will stamp and mail any postcard, creating a great way for fans to share the Fare Thee Well experience with friends who could not be there in person. 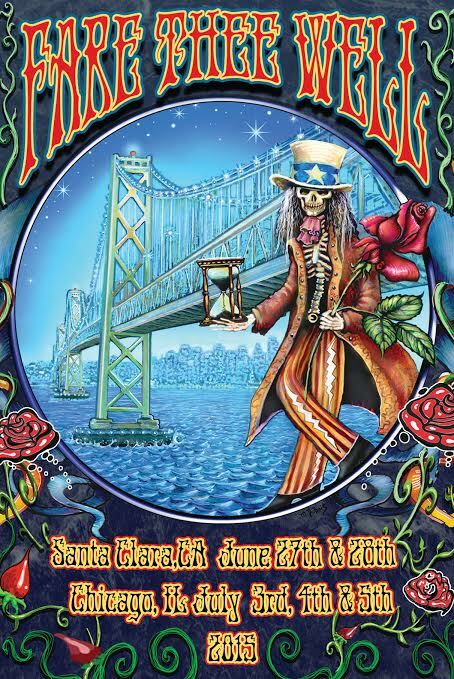 The postcards were designed by renowned artists Mike DuBois, Jeff Trohldahl and Una Toibin all of whom have worked with members of the Grateful Dead or their affiliates in the past. The collection also includes work by Jessica Muessen, whose beautifully decorated envelope sent in to order Fare Thee Well tickets by mail was seen by millions on the Internet. Only 2,500 of each postcard will be available (10,000 total), so fans are encouraged to arrive early and visit Participation Row well before the music begins each night. If all the postcards are distributed, it means exactly 10,000 socially-conscious actions will have been taken.